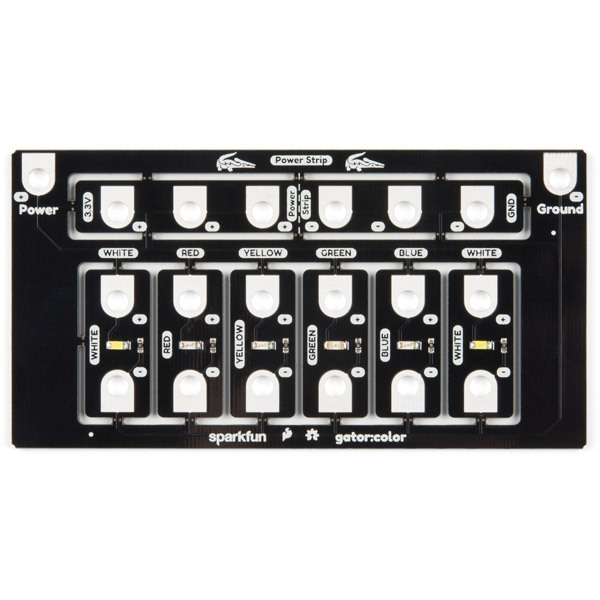 The SparkFun gator:color ProtoSnap is one of a series of gator-clippable accessories called gator:boards created to directly interface with the micro:bit. 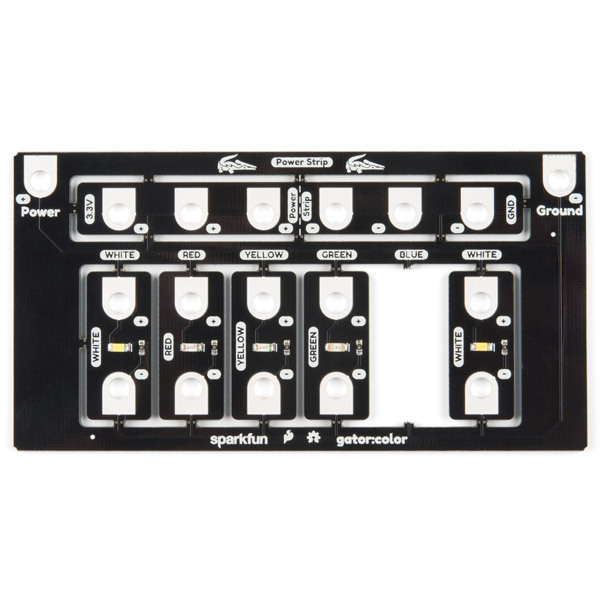 The gator:color ProtoSnap is perfect for adding low-profile, glowing components to a project. 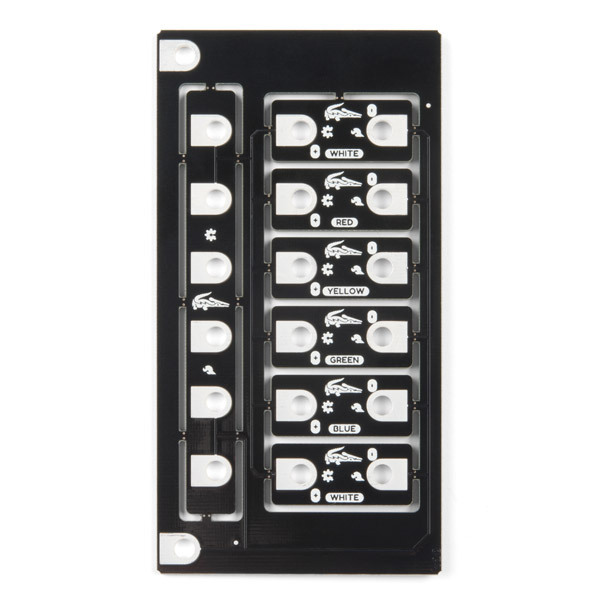 It is equipped with six LED boards that can be kept as a whole while on the ProtoSnap board, or broken apart for individual use. Since this is a ProtoSnap, the board has power tabs broken out on the edges so that it doesn’t have to be broken apart to light up the individual LEDs. The LEDs can be powered one of two ways. The first simply turns the LEDs on, and is done by clipping the side of the LED to ground on the micro:bit, and connecting the + to 3V on the micro:bit. The other way to control these LEDs is to connect to pins 0, 1 and 2. Doing this will allow you to turn the LEDs on and off with the micro:bit, as well as change the brightness level.